But don’t worry, it has nothing to do with the numerous sexual misconduct allegations against Affleck. So at least one woman has had a good experience working with him! 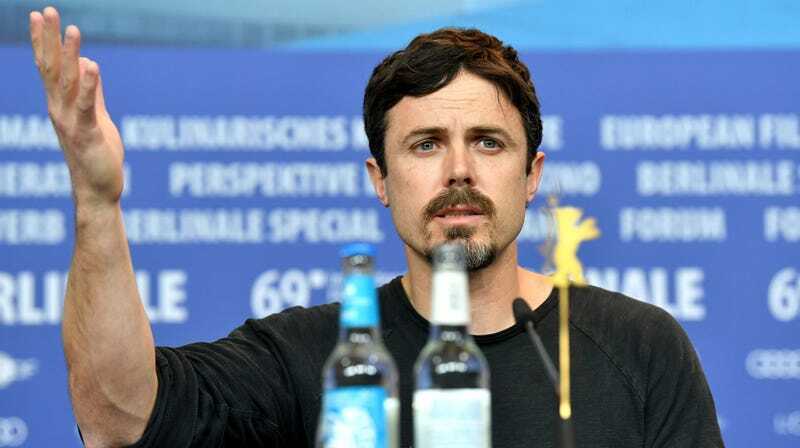 Around this time last year, Casey Affleck withdrew from the 2018 Academy Awards as to not become a “distraction.” He took home an Oscar the year prior despite having allegedly grabbed a producer when she refused to share a hotel room with him and being twice sued for sexual harassment (both lawsuits have since been settled). But Hollywood loves to forgive creeps. Redemption narratives are golden in an industry where abusers protect abusers—so it’s probably only a matter of time before Light of My Life makes its way stateside.